We haven’t had health insurance for over a decade but with the new affordable healthcare act (Obama Care) we (and all Americans) have hit the point where we either pay a tax (first years fine is 1% of annual income) or get covered. Health insurance, much less RV friendly health insurance, is a fully loaded and complicated discussion. Everything from your state of residency, age and income level all play into, and determine, what kind of coverage you can get and how much it will cost. So, naturally we have been dreading the task, fearing the costs and considered just paying the fine to further avoid the issue! It was all much ado about nothing. 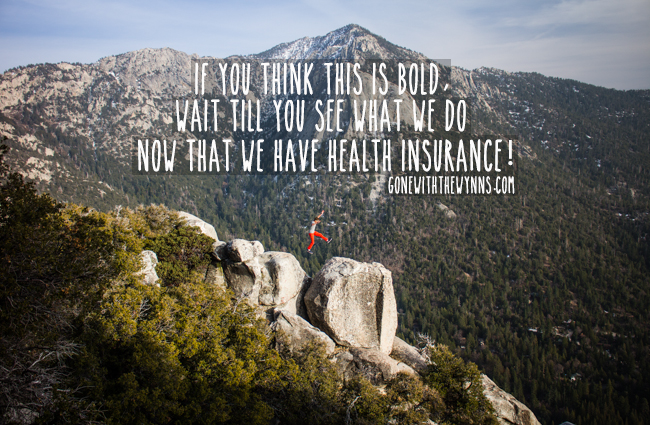 We let society (TV, radio, news, blogs…) scare us into thinking that getting affordable RV friendly healthcare was going to be a tedious, time consuming and costly adventure. And maybe for some it has been, for us that is far from what actually went down this week. It was all much ado about nothing. Within just a few clicks on RVer Insurance Exchange and a couple of emails to verify we were indeed choosing the right coverage for us, it was all said and done. All that fuss and it was no muss. I am happy to say that for the first time in over ten years, we have health insurance! I will share the plan we choose and costs but first there are a few things you should know. We are most certainly not experts on the subject. We did however consult an expert, Kyle of RVer Insurance Exchange and if you are a part time or full time RV traveler, we encourage you to do the same. Why? Because not all plans are created equal and it’s important to understand what’s covered and where it’s covered. Kyle is a fellow RV traveler so he understands our challenges, needs and knows how to maximize benefits and minimize costs. We wanted to get enrolled before the cutoff date (December 15th) and considering this is our first time in a very long time to have insurance we wanted to make sure we were choosing the right plan. We’re healthy young adults that rarely need medical care, we have residency in Texas and make a modest income as small business entrepreneurs. We don’t need a plan that offers copay doctor visits or drug discounts so there’s no reason for us to pay extra for those options. Peace of mind is what we’re looking for. We want to know we will be taken care of if we have a crazy wreck, get cancer or fall off a cliff while hiking. This led us to a very affordable high deductible HMO plan and a fair warning from Kyle as he does not recommend HMO plans because they are risky for travelers traveling outside of their home state. We are not concerned with non-emergency care as much because we have been paying out of pocket for those rare instances for years. For us, it more about covering the big scary stuff or an adventure induced accident like falling off a cliff or breaking a limb. So, if that means we need to get ourselves back to Texas for insurance reasons, we are prepared to do so and understand the risks that come with that. For us, the HMO makes the most sense, but most certainly don’t take that as a recommendation for you! For us, we have not had insurance in over 10 years so even limited catastrophe coverage is better than nothing at all. For us, the HMO is affordable and enough coverage to get us taken care of should that unexpected emergency happen. Should we need to get ourselves back to our home state of Texas for ongoing medical coverage, our home is on wheels and we can do so. Now, let’s talk about the best thing since sliced bread…Telehealth. For the other non-emergency stuff we signed up for Telehealth (also offered through RVer Health Insurance) which should help us out with anything non-emergency in a more convenient and affordable way. Totally worth the whopping $15 a month! “Telehealth is the use of phones, apps, emails, and computers to support long-distance clinical health care, patient and professional health-related education, public health and health administration. Telehealth is an innovative way for patients to communicate with health care providers and possibly receive care, diagnoses, or prescriptions without having to walk into a waiting room. Gaining access to healthcare services on the road can be very challenging. RVers are often hundreds of miles from their primary care provider. Many of us like to seek out remote or unfamiliar areas to camp and that often puts us many miles from any healthcare provider at all. Some RVers likely put off seeking medical attention simply because of the inconvenience factor of finding a provider that we can trust and will take our insurance! Furthermore, since most of us have high deductible plans, many of us simply don’t go to the doctor because we don’t want to pay the high costs of an urgent care visit, office visit, or even ER visit. In January of 2015 we both came down with a cold and rather than our usual method of avoiding a costly doctors visit, we reached for our Telehealth info. I went online, requested a phone chat with a doctor and within 15 min. we were chatting with a well spoken and very through doctor! The process was incredibly easy, fast and effective. He was able to diagnose what was going on, wrote a prescription and had it sent to the pharmacy just down the road from us. 24hrs later we were already feeling much better thanks to the meds. Best part was, we were in the comfort of our RV, no waiting around in a room full of other sick people, no office visit fee and the only expense we incurred was our prescription! It still blows me away. If there is one thing I would recommend every traveler to have, it is Telehealth. (I am not affiliated with any of these products in any way at all, just telling our experiences). So, in less than one hour of research and $110 a month (the HMO plan and telehealth), we are officially insured. Now we can continue our dare devil acts traveling around the country with a lot more peace of mind. Our choice of health care coverage works for us and most likely will be different for you. Each family’s needs and financial situation will vary but one thing is for sure, finding out what your options are is easy. Like most things in life, it’s only as difficult a task as we make it. In just a few clicks you can have options and an “ask Kyle” button.  If you have another great source to share, a tip or anything at all, we would love to have you join the conversation. However, this is not a political discussion and we want to steer conversations in a helpful and encouraging direction.  Disclaimer – We were not compensated to write this article nor did we receive any discounts or products/services for free. We share our choices and experience to help others. Hi Guys! My wife and I are about to launch into Full time nomadic life. I know this post was written some time ago…is your health care situation still the HMO and telehealth? Hi Corrie. Nikki and Jason are currently crossing the Pacific and aren’t able to keep up with comments so I’m helping out. I don’t believe they have Telehealth anymore because I think it’s valid in the U.S. only. However, I personally have it and find it well worth the money. It’s saved me several times and is so convenient! I know they have an insurance plan but since they are sailing now I’d be surprised if it’s an HMO. Teaser – they’ll be mentioning the insurance in the next post and video and may be providing more details in that. Stay tuned! P.S. I also have an ACA plan for regular physicals & emergencies and such. I’m just wondering if you still have this plan, if it is still available to you and what the costs are. So many providers are dropping out of the marketplace and there seems to be no nationwide providers any more. rverhealthinsurance.com is no longer active. Now that you are on a boat, I wonder how your health care situation has changed. Live in any other industrialized country in the world and you’ll have EASY and very affordable health care. You’ll have none of the problems we have in the USA! Do you pay $95/ month each or for both of you? Hey, Nikki- Just wanted you to know that the Telehealth link in this article takes you to a ‘page not found’ error. +Kelly Beasley woops! Fixed! Thanks for letting us know. Thank you for your excellent coverage of this subject. Not mentioned are Ministry Healthshares and Direct Primary Care physicians. These are not mainstream but are quickly emerging alternatives to traditional health insurance. Therefore may not be for everyone. Please Google for more details. I have coupled the two concepts for very affordable healthcare that qualify under ObamaCare. After substantial research I went with Liberty Direct ($200/mo, administered & managed by Liberty Healthshare) and a Direct Primary Care physician that utilizes telemedicine ($89/mo of which $60/mo is subsidized by Liberty). I have been far happier with the results than any PPO/HMO plan I have had in the past when considering the quality of care and costs. Jason, Nikki, I’d love to hear your thoughts on the subject of insurance at the current rates. Does your healthcare plan qualify under the affordable health care act as an actual plan? Like you won’t be penalized for having such a low plan? That’s what I’m concerned about with getting a plan like that because it says, “May be subject to tax penalties”. Yes it does. That is the upside of getting someone like RV Health Insurance to help you through the process. You can check to make sure you are getting the right plan for you and it doesn’t cost you anything extra. I am an American returning to the US in March after living abroad for 30 years. My husband and I are planning to buy an RV in Florida and travel across the US for a couple of years to decide where we want to settle down. We plan to start in Florida, buy a 2nd hand RV and then take off. The RV will probably be registered in South Dakota. We will not reside in any state for more than 3 months. Once we leave Europe, our medical insurance will terminate, so I need insurance that will cover us wherever we are in the US. I am so out of touch with the health insurance saga in the US and all that it entails and find the information on the website very confusing. Can anyone point me in the right direction. Yes, contact RVer Health Insurance mentioned in the post. They are the ones qualified to help point you in the right direction based on your needs. I’m looking for essentially the same thing — high deductible coverage that will work anywhere in the US. I break my leg in Colorado, but I have a health plan in Florida. I get emergency care, they bill my insurance out of network, and the insurer says, “Ok, we usually pay $1000″ for that procedure, and this is out of network, so we cover 50%.” Then I’d think I owe $500 out of pocket, but no. The provider is free to bill me at whatever rate they want for the “balance”. If they want to charge $5000 for the procedure, I’d then owe $4500. I’m having a very hard time tracking down the rules about when this is and is not allowed in different states, and how to just pay some fee and guard against catastrophe. Frustrated is where I’m at. Have any advice? Each plan is soo tricky to fully understand and the rules change each frikin year and are different based on state of residency. Best advice I can give is contact the guys at RV’er Health Insurance (link in post above). They can help explain scenarios such as this and help guide you to the best plan. Insurance should be used to “spread the risk” for things you cannot handle yourself. That is why high deductible plans are a good solution. A $200 bill to deal with a boo-boo won’t bankrupt you, but even minor surgery might. So a high deductible plan, along with a Health Savings Account (HSA) can be a good way to go. Money goes into the HSA pre-tax (and stays there that way) and can be used for a wide variety of health related expenses. Imagine the cost of your car insurance if it also paid for oil changes and new tires! Instead you cover the risk and take care of small things yourself. Most decent plans died with the “Affordable” Healthcare Act (but my 54 year old wife is guaranteed prenatal coverage for just pennies a day!). Always good to read your stuff! Thanks again for sharing. I have practiced pediatrics and child neurology for over 30 years and am overjoyed to have purchased an RV. My wife and I intend to see all the places and hear all the sounds our jobs have hidden from us. Your healthcare advice was excellent and your telemedicine opinions are accurate. For many years I have been available to families passing through our town who had ill children and did not want to pay an expensive emergency department or urgent care clinic bill. After reading a prior comment by a nurse I feel strongly that RVers with children deserve to have an opportunity to find a medical home for their children. A medical home is even more vital for parents of special needs children. A telemedicine based medical home program for RVer children could be easily staffed by a few volunteer pediatricians. Let me know what you think. Thank you for you honesty and sharing about the availability of health insurance. I have coverage through my retirement but my husband does not . . . so we went on line and presto! He is now covered. It was not that complicated. And it is affordable. Now we are selling our house and hitting the road in our Winnebago. Thanks for sharing, we too were surprised how easy it was…almost too easy 🙂 Good luck with the sale of the house. Great post! We are not RVers…yet. My wife still has insurance through her parents until she is 26, so that is good. I’m actually part of a “crowd-sourced” type of insurance. It’s basically a group of religious people who come together and help with each other’s medical bills. Technically it’s not insurance, but works very similar to your plan (and it’s covered under the ACA). It covers most the big stuff, but not the small stuff up to a certain deduction. Right now I pay $45/month. But will probably get a better plan in the future as that only covers $125,000 per incident. Our family of three takes off very soon! Your blog has been very helpful. 🙂 Insurance is a BIG concern for me. We have a 10 month old son who must be insured and we are trying for our second – yes while traveling the country 🙂 Any words of advice for needing maternity coverage all across the world? That is something I wouldn’t know a lot about but if you reach out to Kyle at RV Insurance (link in the post) they can help you pick the right plan for the type of coverage you need (babies too). I’m an RN, all about prevention. One of the things that I really enjoy about You Wynns is – your attention to your happiness and health. You’ve persuaded me that you can live an environmentally sound & healthy life on the road. Barring genetics & accidents of fate, you 2 should be good for a long time. I do recommend though – shop around for a Primary Care Physician while you are young and gorgeous. Develop a partnership with that physician – and should be part of a team that you have researched. I’m in the Bassett Healthcare system in Cooperstown NY – after a few years of going through doctors – part of that time believing that I wanted a female doctor. Now I have a doc I trust – he knows me and has my records. Portable records are revolutionary – but not quite the same as a high quality doc & team who include you in their flock. I call in to his nurse (being a nurse I understand the relationships) that nurse will laison with my doctor to get me a script OR send me to an Urgent Care or advise. Hey Jennie, thanks so much for the advise and inside scoop from a nurses perspective. We would love to have a good ongoing relationship with a Primary Care Physician but moving every 5-7 days makes that really hard to do. We have met some great people who happen to be doctors and so you never know. Hope to see you out here one day soon! Oh Boy!!! Another great post! I was just wondering about this last evening as I was driving home. Our situation is complicated. We have health insurance through the Union my husband belongs to, but he is now on Medicare and I am not. My thoughts traveled to scripts; specifically how to obtain them on an ongoing basis and how to find a medical professional continually along the way. Something you said about a $15 telephone service piqued my interest. I realize that you both are way to young to be thinking about our situations, but there are a lot of retirees out there. I guess I have my work cut out for me too… here’s to another great year, stay safe, but above all be happy! for helping to take the craziness out of this very complicated topic. Having experienced the frustration of dealing with the insurance industry in the case of a serious “chronic condition” child in the “Pre-ObamaCare” years, it was obvious to us that SOME kind of government intervention was needed in order to rein in the “profit at all costs” mentality that placed patient welfare way down the list of priorities. Hopefully, the A.C.A. will survive long enough to 1) allow people to understand it through first-hand experience and 2) outlive the political acrimony that implies that Americans may not really care whether people have access to the care they need —- the real issue! Complicated challenge, and simple sound-byte solutions won’t work. I took advantage of the Affordable Health Care Act last March (I think), and have been really happy with it. My agent told me that I would probably qualify for credits, and I did, and got a rate that I could finally afford. I think I got the Silver Humana plan, and that coverage has been great so far. I’ve just had some wellness tests at no charge other than my deductible, and one small visit to a clinic for a little run-in with a run-away pop-up tent (ouch); still just had to pay the deductible. 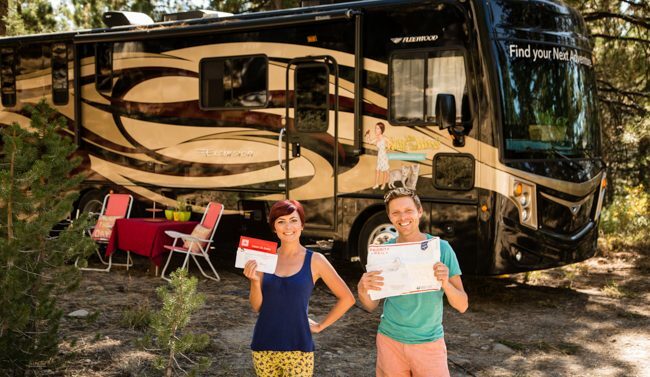 I’m not an RV’er (yet), but it sounds like you two might just have found a good plan for you! Good luck! I obtained coverage by calling the Healthcare Marketplace. They went through the application for a subsidy (which we qualifiy for because of our income level … primariy social security). It is based on your income level in 2015, not what it was in 2014 (I was employed for 6 monts of the year). You also have to factor in any dividend income (from retirement savings) and interest income reduced by standard deductions on your income tax. I had to have all of this information available. Because I do take some maintenance meds (cholesterol, etc.) I wanted some coverage for MD visits and meds. I was able to get a Silver plan at half the price I am paying in 2014. Also, I chose a PPO plan (instead of HMO) so that I could see providers in any state. The process was relatively painless, and my annual reduction went from $6,250 a year to $2,500/year. This is GREAT news for us! Sounds like you really had some great improvements to your healthcare plan this year! Thanks for sharing! Very informative and helpful post. We’re going to be getting on the road next year and have been wondering a lot about insurance…and reading many different things. I think your post was the first to break it down simply and actually show some real world costs. So glad to hear you like our simple approach and still found the info helpful! Hope to see you on the road! For those looking at purchasing health insurance, be aware that “Cost Sharing” is only available with a Silver plan. Bronze plans qualify for Tax Credits but do not qualify for cost sharing (which will reduce your copays and deductibles). Cost sharing can be a significant benefit so you should compare Silver plan copay and deductible discounts before you decide on a Bronze. You can do this right on the Health Exchange website but you can’t see the Cost Sharing reductions until after you have put in your income information. Of course, both Tax Credits and Cost Sharing only apply at certain income levels. Wow. You kids have an incredible amount of information on this website. My wife and I are getting ready to full time soon, and one of the things that would keep me up at night was worrying about the ACA. Find a plan, or pay the tax. I think it’s settled for us now. One question though, do the rates change based on the state you claim as home? Stress free sleep is the best kind. Thanks again you two. Price varies a lot based on number of people in your household and income. I think your home state more affects the type of coverage and where you can use that coverage around the country but I honestly don’t know as I only researched Texas options. Kyle can answer those type of questions for you and he has a lot of information on his website. FYI, something on your website changed, and mobile is now horribly, terribly broken…when I zoom in to the point that I can read the text on my phone, I get this, instead. oh gosh, thanks for the heads up. It seems to be working on our android and windows phones. What kind of phone do you have? So How do we get a hold of this Kyle person? Sounds like we need him also. Thanks for all the info, as usual. We will miss the deadline but it is something we need to look at vs. the tax penalty. We are not too happy that we are bing forced to get insurance/ pay for other peoples insurance. Not everyone needs it IMHO. The federal site was actually quite easy. Getting the language right was perhaps the most difficult. We went with a 6000 deductible Bronze plan. It is for my wife, a healthy 60 yr old lady. Its amazing how even within the same insurer policy the same terms mean several different things. Its done, and a lot easier than political opponents of the bill would have you believe. If you aren’t a fulltimer I’m sure its a snap. That’s great you guys will be covered. It’s really anti-poverty insurance. A hospital stay with no coverage could bankrupt you. You will probably qualify for an HSA account. They’re great. You can contribute $6,650 tax deductible. The money can grow tax free in an investment account. Hooray! More adventures! And glad the shopping & purchasing wasn’t an adventure in and of itself. We just made some adjustments to our health insurance as well now that there are more ACA options available in Florida for us. We also took out the Telehealth option for the virtual visits on routine stuff, and access to discounts on dental and vision. RVerHealthInsurance is such a great resource for us RVers, and made it super simple to get set up. Glad you found something and at a reasonable cost. We just went through the same process. Speaking of RVs and health care, our daughter is moving to Portland, Oregon for grad school in a health related field. While researching the school,OHSU, we discovered that the hospital associated with the school has RV parking for patients and their families. The sites provide electric, access to water, and a way to get your tanks pumped. What a great idea. I don’t plan on needing to use their lot, but it’s nice to see hospitals thinking of RVers. That’s awesome! we have seen other schools that offered parking but not hookups! So nice to hear that it wasn’t an ordeal, and that you were able to find good coverage tailored to your needs. Kyle sounds like a godsend, good for him for providing a much needed service. Long may he prosper by it! Kyle is a godsend! It’s amazing the difference it makes when you talk to someone who understands our unique lifestyle. Does this insurance meet the Government Standard? It was our understanding that it had to include preventive checkups. Yes, we do meet the government standard. We had a lot of misconceptions before going through the process which is why we strongly suggest going through an expert like Kyle. They make it all so much simpler and easy to understand. Good catch Kim, thanks for clarifying. We needed coverage by Jan 1 to avoid the Tax penalty.